Your psychology affects your business more than anything else. The problem is, most business owners immediately try to fix their strategy. 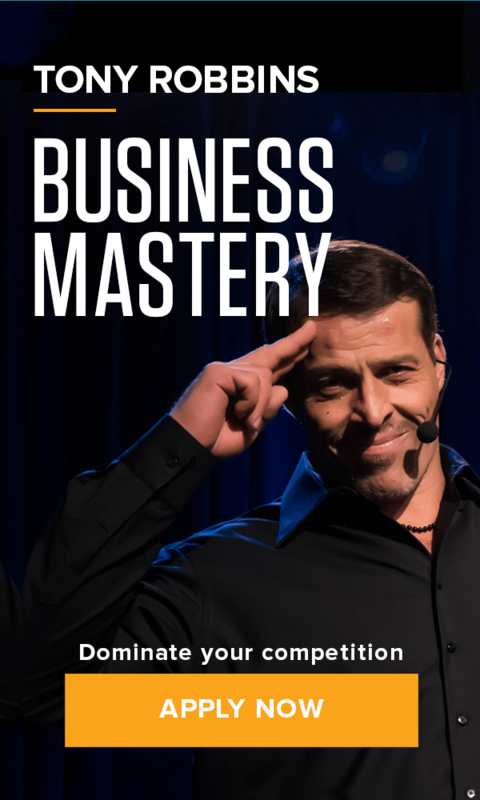 Dave Moreno came to Business Mastery thinking he knew what his business needed to get to the next level. For the last 5 years, his business had been breaking even or at times running a loss. Dave thought it had to be numbers. He had a simple business question and wanted help with accounting and his strategy – so he raised his hand at the event. After talking with Tony, Dave discovered what was holding him back wasn’t his strategy at all. It was him; he was his own chokehold. Dave’s five days at Business Mastery helped him overcome the psychology that had been holding back his business’s success. Once he conquered his psychology, he was able to create an action plan that would transform his business. Watch the video below to discover Dave’s story. His chokehold might be what’s preventing your business from growing – but you just haven’t realized it yet.